The Child Haven convalescent home was founded in 1921 by the Rev. Paul Rowntree Clifford, superintendent of the West Ham Central Mission in the East End of London. In 1928, the home moved to a property previously known as Burses, on Rayleigh Road, Hutton. The official opening was carried out by the Duchess of York on 10 May. On 6 January 1949, the premises were certified for use as an Approved School for Girls. Just over a year later, on 22 April 1950, the school's managers gave notice of their intention to resign its certificate. 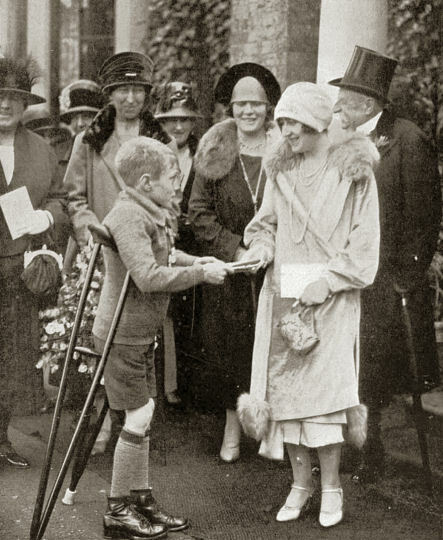 The Duchess of York opens Child Haven, Hutton, 1928. The property later became the headquarters of the Essex County Fire Brigade.